This review of the GHS Property and Health Insurance Company will discuss the insurance company whose name was derived from the corporate name of its parent company, Group Health Service. The company also says that the letters GHS represent Good, Honest Service. Although GHS has the longevity and financial stability of Health Care Service on their side, it is like an independent company. Unfortunately, GHS does not offer health insurance policies. If you would like to search for health insurance right now, all you need to do is fill in your zip code and you will be able to check out health insurance rates for a number of different companies in your local area. Oklahoma City, OK 73146- 0545. To speak to a representative about obtaining insurance through GHS or to receive a quote the toll free phone number is 1-888-I-GET-GHS, or 1-888-443-8447. If you need to report a claim, the number for the claims department during regular business hours is 1-800-580-3464. After hours, the toll free number to call is 1-800-621-5410. GHS Property and Casual Insurance Company offer insurance policies for both individuals and groups. For individuals, auto insurance is a top product through GHS. GHS focuses mainly on insuring good drivers. This helps to keep the rates low for GHS customers. Even if you do not have a good driving record, you may be able to obtain insurance through GHS. Call their toll free number to find out. The second core insurance product from GHS is umbrella liability. Umbrella coverage provides coverage for monetary limits above those set with your home and auto policies. It also may cover losses that are excluded in your other policies. Umbrella insurance is a good idea for individuals in order to cover the chances of being sued and being involved in a lawsuit. GHS used to sell homeowners insurance, but not since the end of 2010. For those individuals who currently have homeowners insurance with GHS, you will not be able to renew the policies. For group insurance, GHS has a program known as GHS At Work. It is a personal insurance program offered through employers. The program was designed to enhance the employer’s current benefits package by offering employees insurance at lower rates than individual rates. The products included in the At Work package are auto and umbrella liability. As part of the At Work program, the insurance premiums are taken out of payroll deductions, which make it convenient for the employee and helps with budgeting. Discounts and rates vary from state to state so check with your representative to see what discounts for which you may be eligible. Whether you need to report a claim locally or out of state, GHS can help you. GHS is committed to resolving claims quickly and efficiently. Once you have reported a claim, you can expect a claims representative to contact you within 24 hours. If your vehicle has been damaged, GHS will evaluate the damage within three days of the claims report. In addition, once a settlement has been agreed upon, GHS promises to send out the checks within 24 hours. If you have been in an accident and are not sure exactly how to proceed, GHS has information and tips on their website. It guides you through steps such as calling the police, exchanging information, etc. It includes a whole list of things to do and not do such as not discussing fault or blame or signing anything. You can also call your agent to get this information. 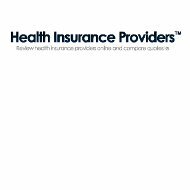 If you would like to search for health insurance, all you need to do is enter your zip code below and you will be able to compare health insurance quotes for a number of different companies.